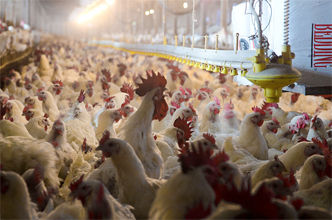 Interesting article from a couple days ago talking about the procedures used to assess salmonella contamination in poultry processing plants and some of the issues therein. Not recommended reading if you’re having chicken for dinner anytime soon. h/t to Paula for sending us the link to this article.